The “General Public” should not be your audience. Be much more specific when defining your target audience. Otherwise, you will waste resources (and who has an overabundance of those?!?) on trying the get the right message to the wrong people. Who are you trying to reach with your message? You will likely have several different groups in mind when starting to craft your outreach program. And that is a good thing. It means you have a healthy and diverse community. And it’s also a not-so good thing because you will need to craft different strategies for each target audience. What may work well for one group may completely alienate another. Here is where you can learn from one of my mistakes. We developed a publication that we called the “Go-Kit Passport.” It was a small, durably-produced product meant to hold information valuable to have in an emergency situation. It had pages for drawing maps of your neighborhood and designating meeting places, pages for photographs of people and pets, pages for medical information, and many more pages for useful information. It was very popular in English. But, when we translated to Spanish, an issue came up because of the word, passport, in the title. This caused confusion and prompted a call to our office from ICS. We changed the title for Spanish publications. So the lesson here is to think about your solutions from many different angles and anticipate problems from serving more than one narrowly defined audience. So take some time and think about the differing groups in your community. What are other groups in your community? When creating your list of target audiences, use the following list of questions to finely tune who you are targeting. Ask questions as you build the profiles in order to learn how best to serve the information to your target audience. Their answer will guide you to the framework needed to best serve them. Come up with your own questions that reflect the needs of your unique community and target audiences. 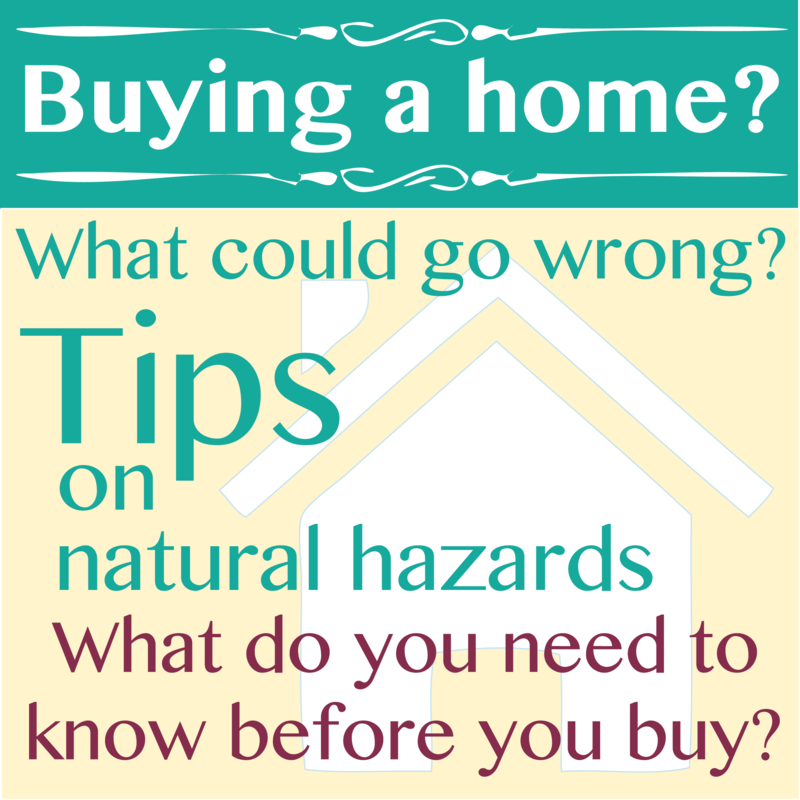 Who do you depend on to get information about hazards in your area? Who do you depend on for help during a disaster? What are your concerns about earthquakes in your community? What are your questions about earthquakes in your community? Would you need help during an emergency? What kind of assistance? Who are the leaders of your group? Once you decide who you need to reach you need to find out how best to do that. By answering the above questions, you can learn a lot about your various target audiences. And more importantly, how to reach them with your messages. You will want to find active methods of getting your message to the audiences. Don’t stick a flier in the utility bill, and expect to reach a large percentage of the population. That is an example of a very passive method of outreach. While it can be effective, when targeted and timely, it can also fail utterly and completely, thereby wasting your time and the audience’s attention span. Know what a successful outreach program looks like. You have to know where you are going in order to get there. When you set out on the journey of implementing your outreach program, you probably had a pretty good idea of what you wanted to accomplish. Increased awareness and increased protective actions are just two possible broad goals of your program. How will you know you’ve reached your goal? During the process of planning your outreach program, you will have spent a lot of time thinking about very tangible goals that can be measured. Measurable goals are important in order to make sure you know when you have arrived at your destination, but also important for planning next steps. You won’t know what your next steps should be unless you know if your last actions were successful. Whew! It seems like we are right back at where we started. And we kinda are. The thing about outreach is that it never really ends. Once you complete one campaign, you start another with what you have learned about works and what doesn’t work in your field. That knowledge comes with time and experience. Have you educated your community? Have you engaged your community? Have you put solutions in front of your community? Once you reach your goal, what then? Find the corners of your issue and work toward the center. The limitations can be liberating and spur creativity. Unrestrained choice can lead to paralysis of decision and action, so find the structure of what you want your community to learn about your issue and then get out there and educate away. How you do this education process will be dictated by the who, what, where, when, and why of your issue. The last thing you want is to have your hard work be for naught. Nothing is gained by having passive community engagement. You want your community fired up and raring to go on your issue. this may mean at some point giving up a certain amount of control over the process. But your hard work should show fruit by having the community itself stepping up and taking on the issue in a grass roots manner. Find ways for the community members to get their hands dirty, to get up and moving, to create their own programs. Solutions come in all types of flavors. It could be training for shelter management or first aid; it could be curriculum available to K-12 schools; it could be evacuation drills and exercises. These solutions need to be a part of the plan and should be sustainable after your program ends. Galileo convicted by Italian court. No wait, it was seismologists convicted for not being psychics. Apparently not much has changed in Italian understanding of science since the Inquisition tried Galileo Galilei in the 17th century on charges of heresy for championing the case of heliocentrism. This time around, it was an Italian court that convicted seven members of the Great Risks Commission for manslaughter on the basis that they bloody well should have known that an earthquake was going to strike L’Aquila and kill 308 people. These seismologists and disaster experts are once again at the center of an anti-science Inquisition. The L’Aquila Seven are Bernardo De Bernardinis, Enzo Boschi, Giulio Selvaggi, Franco Barberi, Claudio Eva, Mauro Dolce and Gian Michele Calvi. The charges, detailed in a 224-page document filed by Picuti, allege that members of the National Commission for Forecasting and Predicting Great Risks, who held a special meeting in L’Aquila the week before the earthquake, provided “incomplete, imprecise, and contradictory information” to a public that had been unnerved by months of persistent, low-level tremors. Picuti says that the commission was more interested in pacifying the local population than in giving clear advice about earthquake preparedness. This case is based on a serious misunderstanding of just how much certainty which with we can predict earthquakes, but perhaps more importantly., how important risk communication is when the public lacks scientific literacy. This shows a particular lack of concern for the public’s valid concern for safety. But is it grounds for a six year sentence? Not really, in my opinion. The experts were specifically charged with giving “inexact, incomplete and contradictory information” about the swarm of smaller tremors preceding the 6.3 Mw 2009 earthquake and whether they should have constituted grounds for an earthquake warning. The punishment for not being able to predict earthquakes with the precision of a Vegas charlatan will be six years in prison and $10.2 million in court costs and damages, unless sanity prevails and their verdicts are overturned in a higher court. “I consider myself innocent before God and men,” said another convicted defendant, Bernardo De Bernardinis, a former official of the national Civil Protection agency. But a closer look tells us that the verdict wasn’t so much on the scientists’ predictive ability, but on how well they communicated that risk. In L’Aquila on 31 March 2009, a meeting was held to discuss the recent rash of small earthquakes and to assess the liklihood of an increased chance of a larger earthquake occurring. Any rational seismologist will tell you that just about any earthquake scenario is a low probability event. The Great Risk Commission told the assembled audience that there was an increased possibility, but they could not with any certainty state a prediction. The resulting press conference by the civil authorities reassured the public that smaller earthquakes do not raise the risk of larger earthquakes and there was no need to evacuate. When it comes to communicating ideas, is not what you say, but what other people hear. What the fearful people of L’Aquila heard, was that it was safe to stay in their homes. Because that was human nature. We want certainty, we want reassurance. Adding to the emotional miasma, a local man named Giampaolo Giuliani, was predicting a earthquake based on radon readings taken on his home-made devices. The scientists were placed in a nearly impossible position of needing to refute the basis of Giuliani’s unfounded assertions. This set them up for needing to refute crazy-town. This case shows that those of us in the natural hazards field have a long way to go in refining our approach to communicating risk. The public wants reassurance they they will be safe. But we know that natural hazards are a fact of life and will occur whether we are prepared for them or not. The question becomes how do we communicate that risk in such a way as to engender positive protective action by the public. And do this in such a way as to avoid the Chicken Little Syndrome. The researchers were accused of incorrectly assessing the likelihood that a major quake could happen in L’Aquila given the large numbers of small earthquakes in the region in the months before the deadly event. As a result of this assessment, argued the prosecutor Fabio Picuti, residents and officials failed to take steps that could have saved lives. In particular, he said that some residents remained indoors on the night of 5 April when the tremors returned – followed by the early-morning earthquake. “I’m not crazy. I know they can’t predict earthquakes,” the Italian public prosecutor Fabio Picuti told Nature last year. Picuti was surprised by the six year sentence handed down by the Judge, Marco Billi, who has up to three months to provide information in his ruling. Picuti had requested a prison term of four years.How very generous of him. I’m also assuming that there will only be thumb-screws, not the Iron Maiden in store for these men of science. The quake killed 309 people, injured more than 1,500, and left 65,000 people homeless and no one argues that it wasn’t a tragedy. The people who lost loved ones or property are understandably distraught and seeking an outlet for that emotion. This is sadly very common after natural disasters. Sometimes there is a culprit, and sometimes there are scapegoats. The world’s largest multi-disciplinary science society, the American Association for the Advancement of Science, condemned the charges, verdict and sentencing as a complete misunderstanding about the science behind earthquake probabilities. “The verdict and prison sentences delivered on 22 October in the trial of six Italian scientists and one government official charged with manslaughter in connection with the L’Aquila earthquake are troubling and could ultimately be harmful to international efforts to understand natural disasters and mitigate associated risk. Luciano Maiami told Italy’s ANSA news agency that he had quit as head of the Major Risks Committee because “there aren’t the conditions to work serenely,” a day after the watershed ruling that sent shockwaves through the international scientific community. As a member of several seismic commissions myself, I am somewhat perturbed by the outcome, even if it is half a world away. This type of anti-science mentality lurks (or laughs maniacally in the case of Texas and other deeply-Red states) and it not a far stretch to think that this type of Inquisition could take place in the U.S. The Pacific Northwest faces its own seismic hazard in the Cascadia Subduction Zone, which will impact the entire western United States. Anyone who has been paying attention to the last 5000 years of Italian history knows that it is a seismically active area. Just ask Pliny the Elder. What I want to know is when the city officials who did not retrofit public buildings, or the landlords who allowed tenants to live in un-safe buildings are going to be put on trial. Because all the scientific knowledge will do us no good, unless we take action in our built environment and infrastructure to make our cities and cultures resilient to these types of disasters. Just as scientists have a responsibility to identify and characterize hazards and risks, politicians have a responsibility to ensure risk is minimize through sound public policy, and the public has a responsibility to take responsibility to take protective action becoming educated on risk and by seismically retrofitting their homes. Sadly, people lost their lives because of a broken system. Every successful outreach program tells a story. This story needs to form the kernel of your program messaging. For our earthquake and tsunami program it is, “Be a survivor.” This simple phrase comes from a wealth of understanding of the issue, the science behind earthquakes, and even more importantly the science of marketing and branding. Because really? You are selling a product just as much as Coca-Cola is. And you are competing for the consumer’s attention span and dollars just as much as Coca-Cola is, although I doubt you have millions of dollars to spend on your campaign. So study the competition and how they do things, but more importantly study your own issue or hazard. Before you even begin to think about your outreach program, you will need to thoroughly examine and understand your hazard or issue. If you aren’t excited about this prospect, you may need to find another line of work. Because if you are not thoroughly enamored by your topic, then it may be hard to sustain the curiosity and energy needed to successfully complete your program. I’m going to go on the assumption that you are passionate about your issue. Otherwise, Pinterest is calling you. In order to know the best way to find a path forward, you have to know where that path has been. Assemble a history of your program or issue. Who were the early adopters and creative thinkers? Are there seminal works of research or publications? What are the methods and theories at work in your field? Spend time with the experts and scientists in order to learn from them. They will be great resources as you move forward with your program. Hang out with them at conferences; take opportunities to go have a meal or beer with them. Scientists love beer. Want to make a scientist a friend? Buy them a beer. Just don’t make it a cheap beer. And if you are buying one for me, I prefer a stout. The idea here is to create the networks of knowledge that will support your outreach program later. How do hurricanes form and what is the role of the warm ocean temperatures? What makes subduction zone earthquakes so big? Why is it not a good idea to try and surf a tsunami? You don’t have to be a scientist to educate people on a subject. You don’t need to have a doctoral degree in a scientific field to answer these questions. You just need to have done your homework. And learning is fun. So get out that big brain of yours and learn something new today about your hazard or issue. The more you know the more effective advocate for your cause you will be. As you educate yourself, keep track of questions that are raised and their answers. These can become the basis of a FAQ which will be a valuable tool in your kit. You don’t want to have to keep looking up the same information. Then, you can post this on your website to help educate the public during your campaign. It’s a win-win situation. Public education and outreach is an effort by individuals or groups to connect its ideas or practices to the efforts of other organizations. In essence, you have something you want to say or there is some behavior you want others to change or to adopt. You can probably come up with other applications for public outreach that fit within your own needs. In my case, I do public outreach and education around the issue of geological natural hazards. This usually entails educating people on the hazards; earthquakes, tsunamis, and volcanoes. Yes, we have all three in Oregon. There is nowhere on earth that isn’t subject to some hazard or another. But outreach isn’t just about educating people, that’s just the first step. What we really want is to change behavior… get prepared… make a plan… stop smoking… wear seat belts…wear helmets… chew with your mouth closed… and so on. We can all think of public outreach campaigns that have worked and others that haven’t worked. Some campaigns that have worked well are the ones that got you to buckle your car seat and to eat dolphin-safe tuna. With a lot of hard work and perseverance, you can make sure that your public outreach campaign will be in the first group. An effective public outreach program can either be promoted from the top down or rise from the grassroots. Either strategy has both positive and negative aspects. The important thing to remember is that no two outreach programs are the same. What works for the community just up the road may not work for you, but we can learn valuable lessons from other outreach programs. Outreach is a two way street – you are not simply imparting knowledge. You are also learning about your community and its needs. It will be impossible to create change unless you know what your starting point is and where you need to be going. I’ll talk about ways to learn about your community in a future post. Don’t make this a hollow outreach program. There is no use telling people to be aware of a hazard and then not do any mitigation or community-level preparedness. Take this opportunity to start the conversation about your issue, if it hasn’t started already. Public outreach is a very useful tool and should be given the care it deserves to create the action and change in behavior you are seeking.